We decided to leave a couple of days early to visit my daughter and her family up north, and so that meant a bit of scrambling to get everything ready in time! And, of course, a huge order came in just a couple of days away from departure date! That needed sorting and thank you cards written up for customers so I had to make some cards pronto! I got out an old favourite stamp set, Vintage Leaves to help me with the task, along with a package of Whisper White Notecards and Envelopes. The Notecards & Envelopes are just the right size for a batch of thank yous. They are 3 1/2" x 5" which is not such a large area to fill, but you can still use a sizeable sentiment on them and it looks good. I got out my go-to thank you sentiment set: One Big Meaning and got busy. I used a 3 1/4" x 4 3/4" panel on the front of each card and stamped it with three of the leaf images in the Vintage Leaves set. I stuck to warm fall colours such as Crushed Curry, Cajun Craze and Pumpkin Pie for the leaves and Early Espresso for the sentiments. 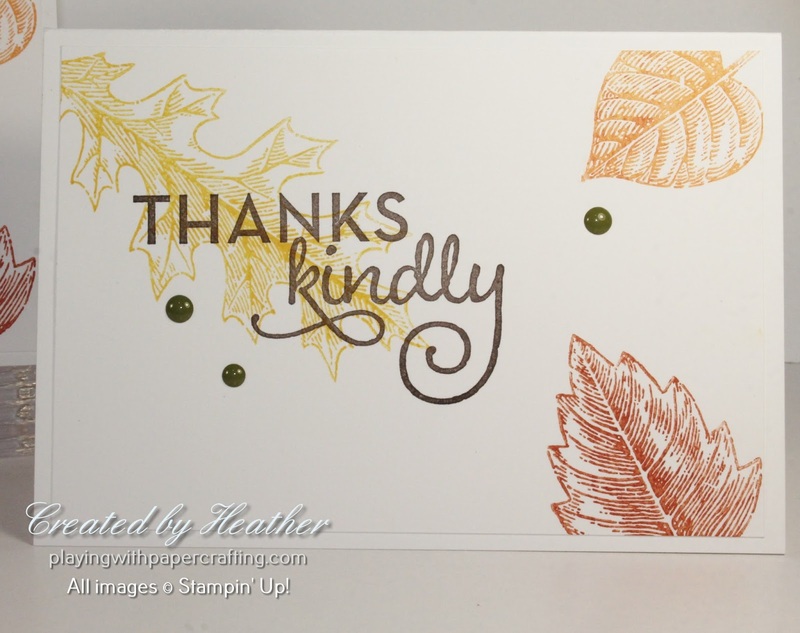 I stamped off all the leaves at least once (twice for the Cajun Craze) before stamping them so they wouldn't overpower the card. That way, too, the sentiments which are both very large, could be stamped over the images and not be lost with the leaves have too intense a colour. Some Regal Enamel Shapes added a few finishing touches. 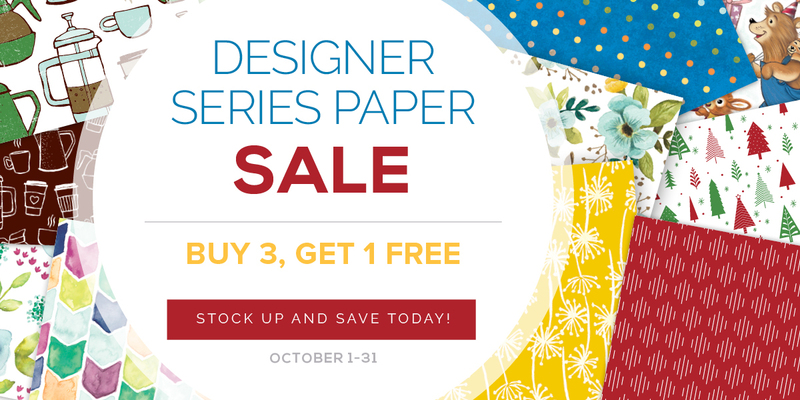 Last weekend for this sale. Grab a couple of friends and share the cost and the paper to make it worth your while! !